To receive weekly updates of upcoming public lectures and events, please sign up for the Green List by clicking the button below. Subscription is a two-step process. After submitting your information, you will receive an email requesting confirmation of your request. Please follow the instructions in the email to complete your subscription to the Green List. Public Lecture in the Coach House. At Green College, we believe that the graduate school experience is enhanced through compelling public lectures and lasting connections. 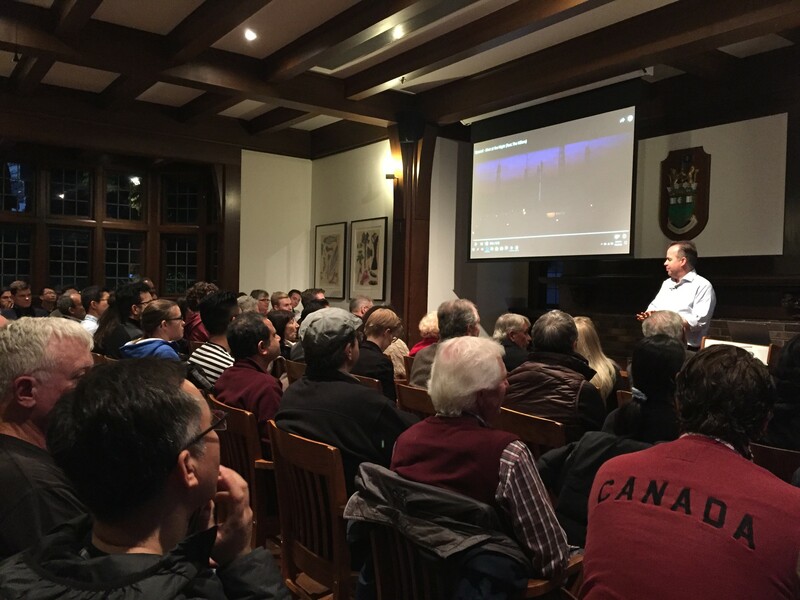 Whether you're a resident or a guest, there are plenty of opportunities to become involved in College life: attend one of our groundbreaking lecture series, stay for dinner and a fireside chat with a Chief Justice of Canada, apply to be a visiting fellow in residence, and more. Our programming is all outside of typical working hours, emphasizing an extracurricular time to complement academic work. Join us for an exchange of ideas. Stay for the friendship and hospitality. Take a look at our latest programming schedule here.